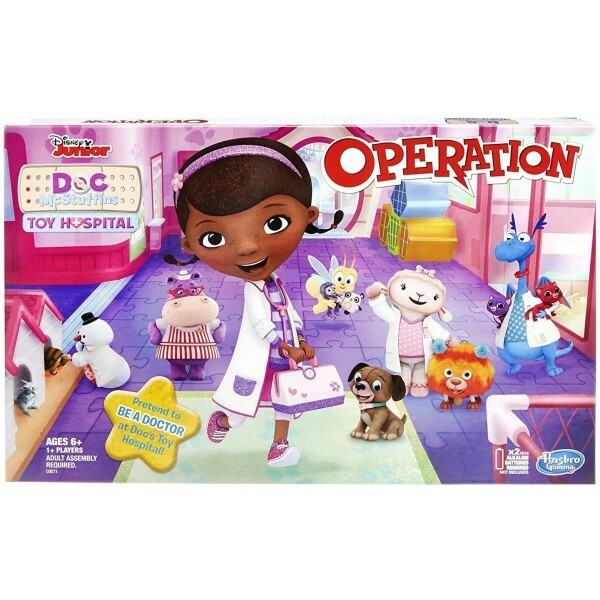 Doc McStuffins Operation combines the silly fun of the classic Operation game with Doc McStuffins and her friends. 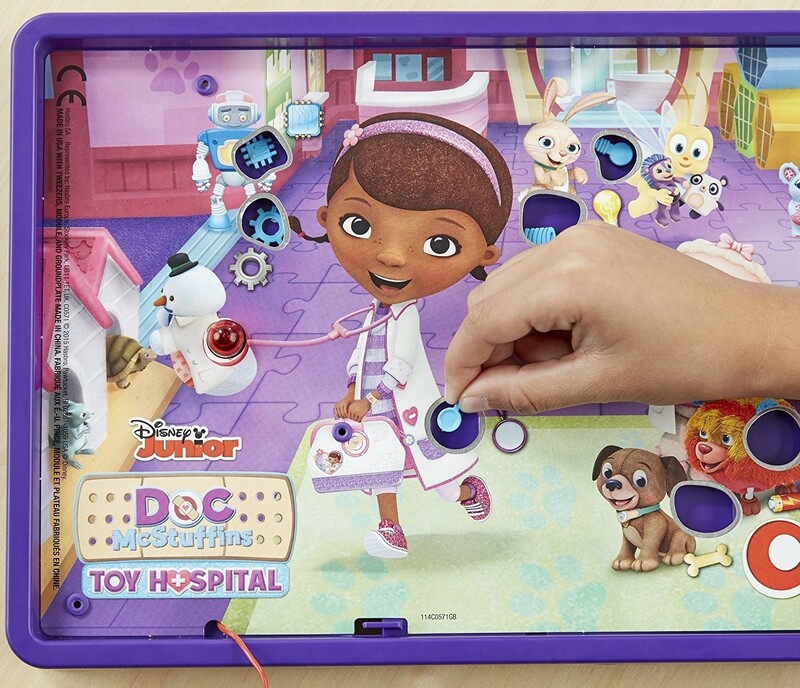 You be Doc McStuffins, and help fix boo-boos by carefully removing them with tweezers. Be careful - if you touch the sides of the boo-boo pocket with the tweezers, the buzzer goes off and Doc's stethoscope lights up! The player who fixes the most boo-boos wins. 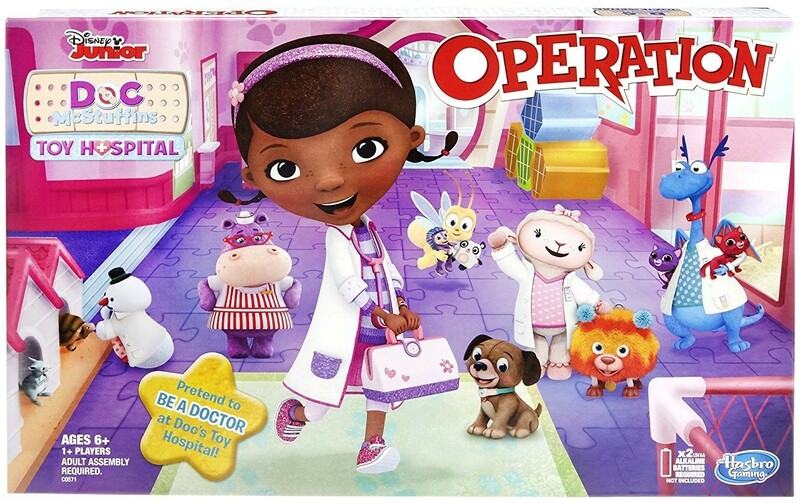 For more Doc McStuffins-related items, visit A Mighty Girl's Doc McStuffins Collection.